The Atlanta Film Society is pleased to announce the fourth annual ¡CineMás! Film Series taking place this November at the Plaza Theatre. The ¡CineMás! program aims to spotlight cultural and cinematic diversity within the Latin American community. As in previous years, the series includes a film each from Central America, South America and the Caribbean. Featuring films from Cuba, Mexico and Colombia, screenings will take place on November 19, November 25 and November 27. New this year, each screening will offer food from local restaurants to VIP ticket-holders. The series will open with Cuban documentary “Cuban Food Stories,” directed by Asori Soto, at 7:30 PM on Monday, November 19 with food made available from Papi’s Cuban Grill. Two-time Academy Award-winner Alfonso Cuarón’s highly-buzzed film “Roma” will screen on Sunday, November 25 at 7:15 PM with food made available from El Ponce Mexican Restaurant. Closing out the program, Cristina Gallego and Ciro Guerra’s generational epic “Birds of Passage” will screen at 7:30 PM on November 27 with food made available from Kiosco Colombian Restaurant in Marietta. All three films have received critical acclaim. “Cuban Food Stories” premiered at Berlinale before playing the Miami and Seattle International Film Festivals in the United States. A portion of proceeds from the screening will benefit the Cuban Food Stories – Culinary Initiative. “Roma,” which premiered at the Venice Film Festival, is considered a frontrunner for Best Picture and several other categories at the forthcoming Academy Awards. “Birds of Passage” premiered at Cannes Film Festival and is the filmmakers’ follow-up to “Embrace of the Serpent,” which was nominated for the Best Foreign Language Film Academy Award in 2016. A portion of proceeds will benefit the Cuban Food Stories – Culinary Initiative. This screening is sponsored by Papi’s Cuban Grill. The most personal project to date from Academy Award-winning director and writer Alfonso Cuarón (GRAVITY, CHILDREN OF MEN, Y TU MAMÁ TAMBIÉN), ROMA follows Cleo (Yalitza Aparicio), a young domestic worker for a family in the middle-class neighborhood of Roma in Mexico City. Delivering an artful love letter to the women who raised him, Cuarón draws on his own childhood to create a vivid and emotional portrait of domestic strife and social hierarchy amidst political turmoil of the 1970s. This screening is sponsored by El Ponce. It’s the 1970s, and America’s burgeoning obsession with marijuana has made Colombian farmers suddenly rich. In the Guajira region, a Wayúu family rises to prominence, but soon the trappings of wealth and power start a war that threatens to tear them and their ancient traditions apart. From the director of EMBRACE OF THE SERPENT comes this epic, visually exquisite story. Almost mythical in its storytelling, BIRDS OF PASSAGE combines traditional culture, an immersive atmosphere of surreal imagery and vivid sound design with glorious widescreen cinematography. This screening is sponsored by Kiosco Restaurant. General Admission tickets are available for $13 for each film. VIP tickets are available for $20 and include food from sponsoring restaurants. ATLFS Members get up to two free General Admission tickets or up to two discounted VIP tickets to each screening. 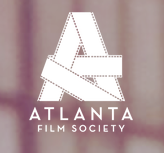 To purchase tickets, visit atlantafilmsociety.org/cinemas.